All photos by Cognac Expert. Cognac–a drink that brings many images to mind; a snifter brandy glass, rows of fat grapes glistening on the vines, the iconic Hennessy brand or Rémy Martin a more boutique producer like Pierre Ferrand or Jacky Navarre… Maybe you even picture hip-hop artists such as Jay-Z, Buster Rhymes, or P Diddy since the drink is a well known favorite of these music stars with brands like D'USSÉ. But we bet that when you think of Cognac, the last thing you think of is the weather in this tiny corner of South Western France. But for Sophie and Max, the sister and brother team behind Cognac-Expert.com, the weather running up to the 2017 Cognac harvest has been one that they’ve seen many of the region’s farmers struggle to overcome. The thing is, when it comes to making Cognac, there really is a finite supply. For a brandy to carry the hallowed name of ‘Cognac’ it has to have been grown in the strictly defined region of Cognac, France. This covers an area of around 79,000 hectares. 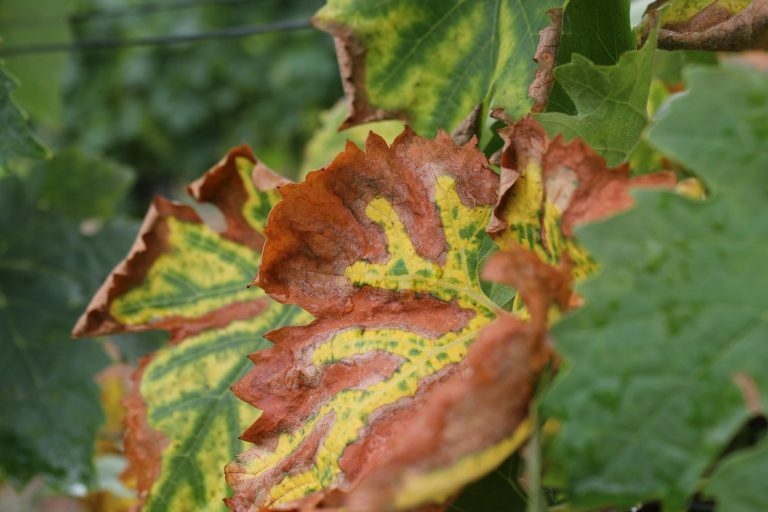 What this means in reality is that if the weather isn’t kind, causing the grape harvest to be lower than usual, or even fail, then this causes extreme problems for the farmers. The difficulties began with later than usual frosts, followed by hailstorms just a week later. The summer was the wettest and gloomiest the region has seen since 1956! There were a couple of significant heat waves, followed by strong storms. All this resulted in a devastating loss of vines in the region. And then, just when the farmers needed a little helping hand from up above, the weather became hot and humid, massively increasing the chance of rot and dreaded gray mold. Of course, such issues are a major headache for all Cognac producers. But when it comes to the smaller houses, such weather phenomena can be calamitous. When you’re a Cognac giant, with thousands of hectares of vines, you can afford to lose a few. 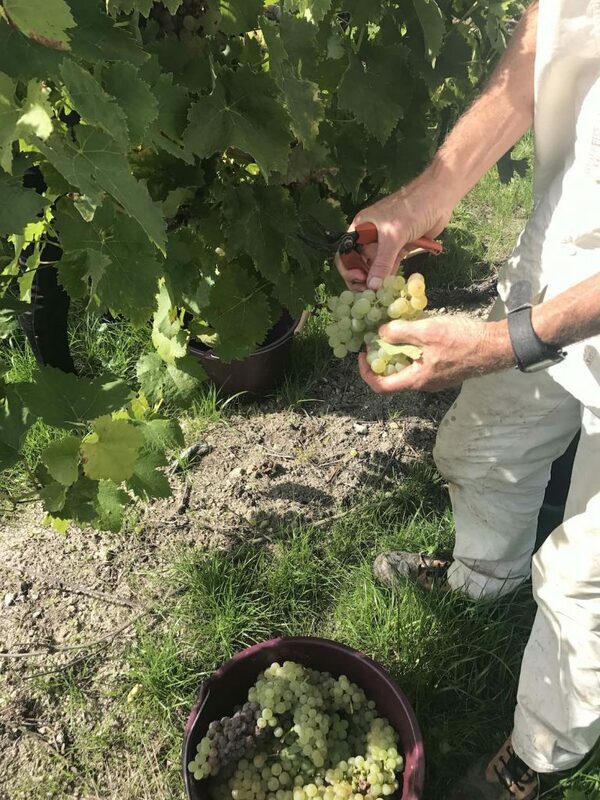 In fact, the larger houses have separate challenges, as they have so many grapes to harvest that they need to sacrifice quality by beginning to harvest slightly before optimum time and ending after the grapes have passed their optimal maturity. But for the small farmer, perhaps having only 10 or 20 hectares, if your vines are within the region where some, or even the whole crop was destroyed, you end up with a year with little or no eaux-de-vie added to your stock. 2017 has seen some of the smaller producers lose 80%-100% of their harvest, which is truly devastating. The figures show that the 10-year average harvest yield has been 107 hectoliters per hectare (hl/ha). In 2017 the region-wide yield will be around 80-90 hl/ha, with the frost affected vines only yielding around 40-50 hl/ha. The big houses (and many of the smaller producers as well) make the most of 21st century technology. They use machinery to harvest the grapes. But there are still some small farms that bow to the time honored tradition of harvesting by hand. Producers such as André Petit & Fils continue in this fashion. Of course, such backbreaking work takes far more time than harvesting by machine. So the farmers need to keep a close eye on the weather, as this will determine the exact time as to when they begin. And for such artisan houses, their USP is the very fact that they continue to create Cognacs in such a traditional manner. They can’t compete with the giant producers in any other fashion, so their traditional approach is what makes them stand out. The 2017 battle is over. A look ahead. Whatever way you look at it, this year’s challenge is over. Cognac producers large and small can do nothing but chalk it up to experience. Winners and losers alike, the houses have to accept that 2017 certainly won’t go down as a year of plenty. Although the quality of the eaux-de-vie produced by this year’s wrath of the gods remains to be seen. Only time will tell, and as we well know, Cognac farmers are patient folk… And who knows, perhaps the 2017 Vintage Cognac will be worth a lot of money one day, as there is so little of it. To discover more about everything and anything to do with Cognac, follow the latest news from the heart of the region at Cognac–Expert.com.